Home is where loves resides, memories are created, friends always belong and laughter never ends. This project from start to finish was heartfelt, joyful and reflects the clients warm hospitality. Allow yourself to float away into this calming and relaxing design. Using neutrals throughout with exquisite touches allows the views to be the art. This house was a delight to design from start to finish. Welcome home! 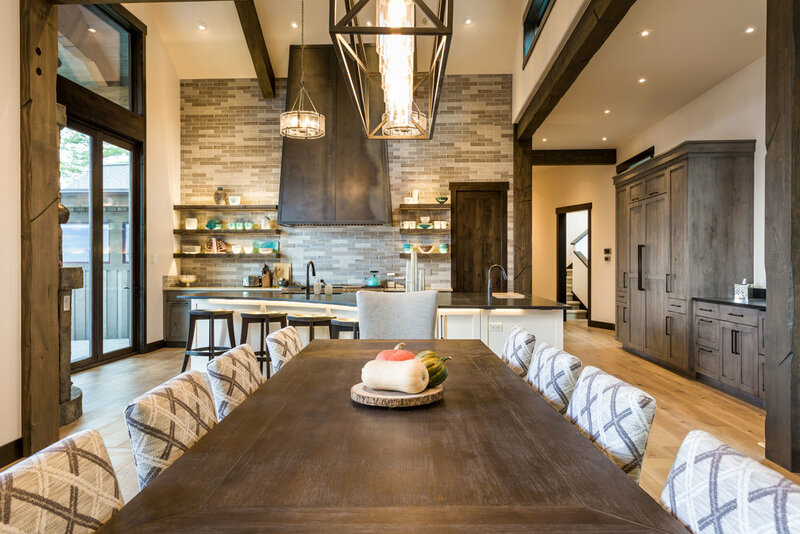 This rustic Montana home was designed to be the ultimate family gathering place. 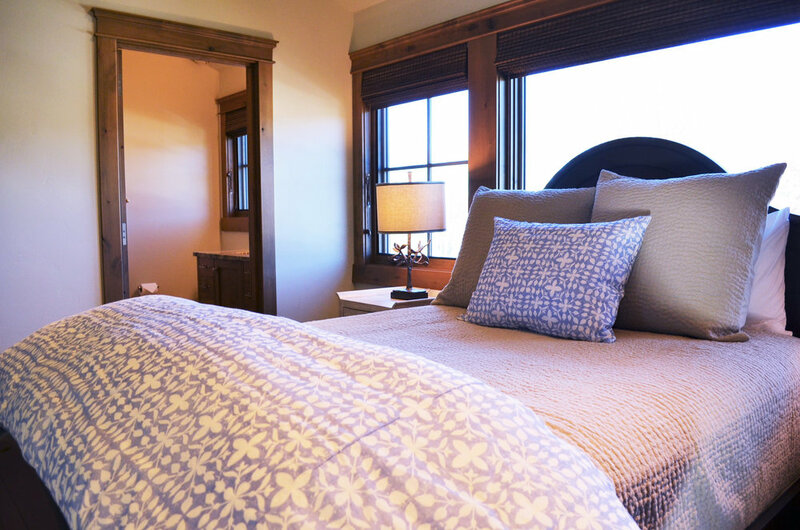 Multiple themed suites designed to meet the needs of a quickly growing family. 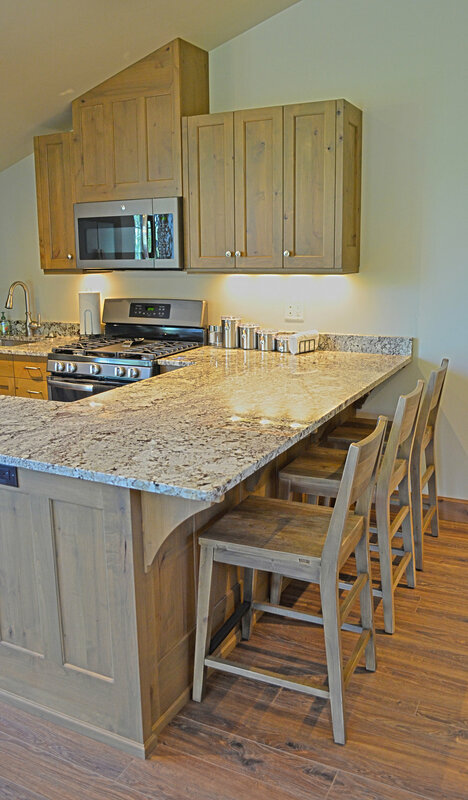 Countless artistic touches throughout, with quality, durable, finishes to allow plenty of room for grandkids to roam. 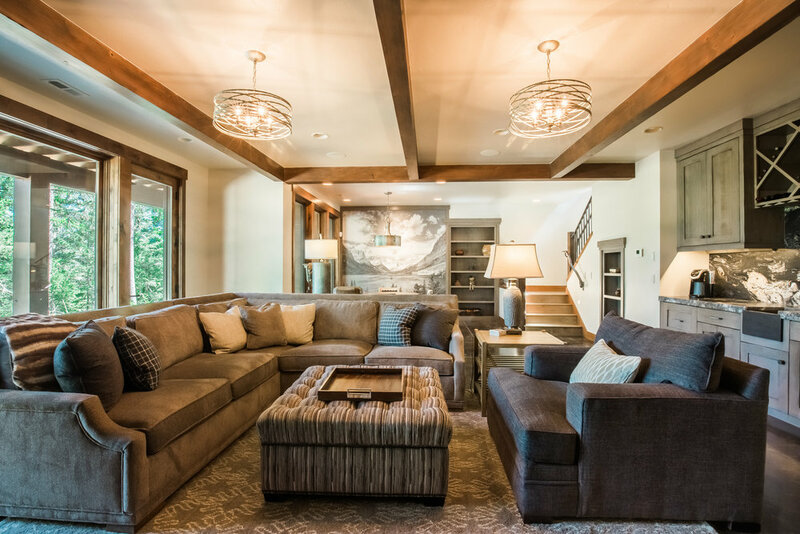 Where contemporary meets rustic, this residence offers classic mountain rustic charm with subtle and sophisticated interiors conducive to a young modern family. 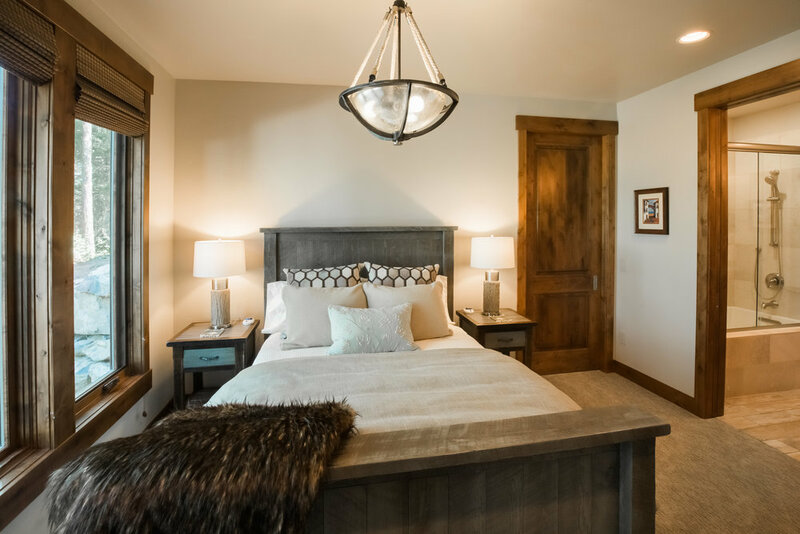 Casual and comfortable, rustic meets refinement, this home feels clean and classy, yet true to the mountain feel found in the Whitefish area. 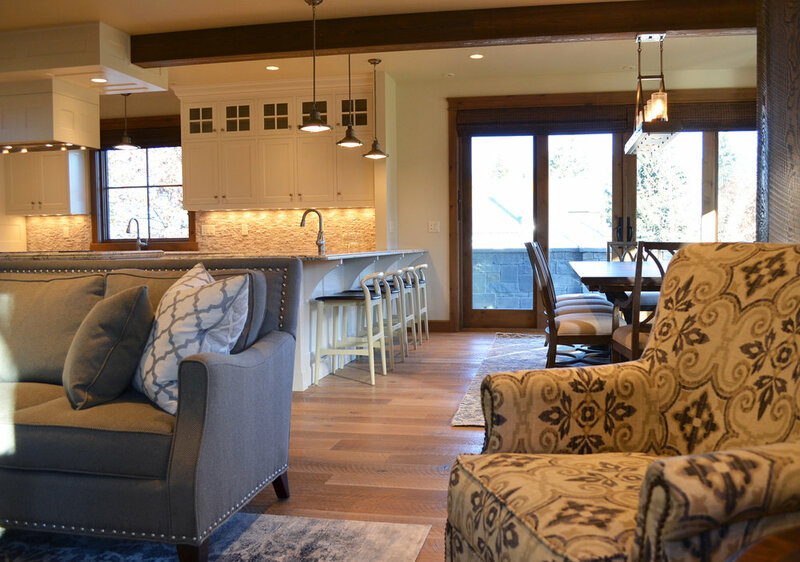 Light and bright with a comfy casual feel, this home was designed to accommodate two large families that love the lake life. 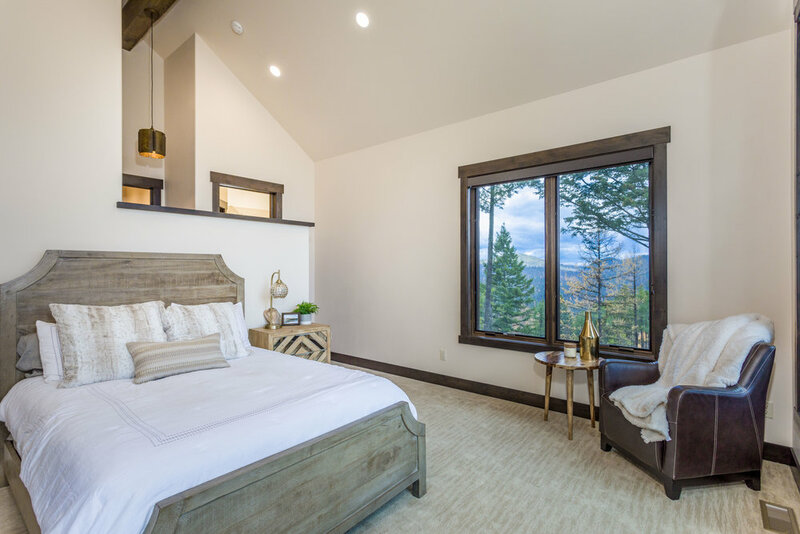 Situated on a large grove of aspen trees, this site feels totally secluded, despite its close proximity to town. 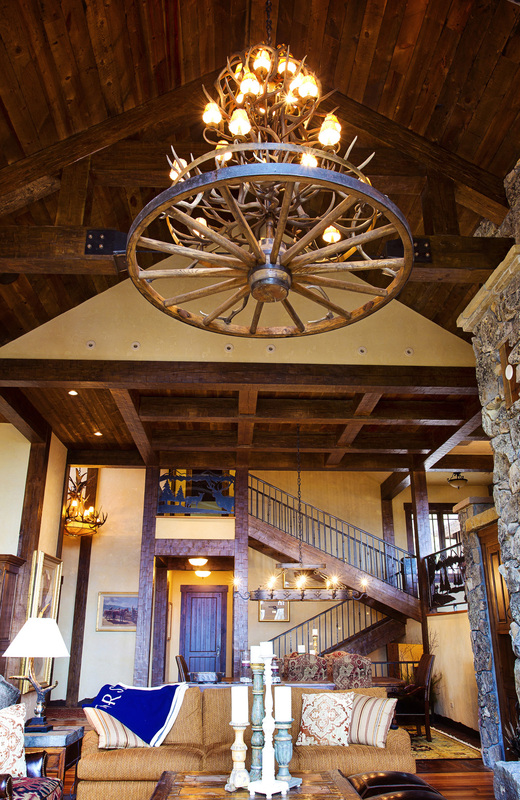 Featuring the rustic touches you would expect in a Montana retreat, yet modern amenities abound. Rustic mountain retreat mixes with movie memorabilia. 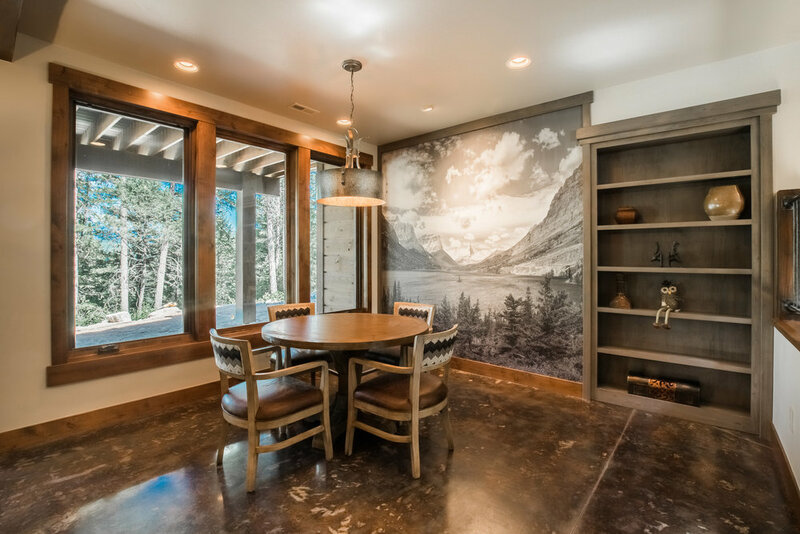 This luxury mountain retreat showcases a rustic elegant theme, where the use of color and materials combine to create a warm and inviting environment. We strive to create spaces as unique as the people we serve, and this home does not disappoint. 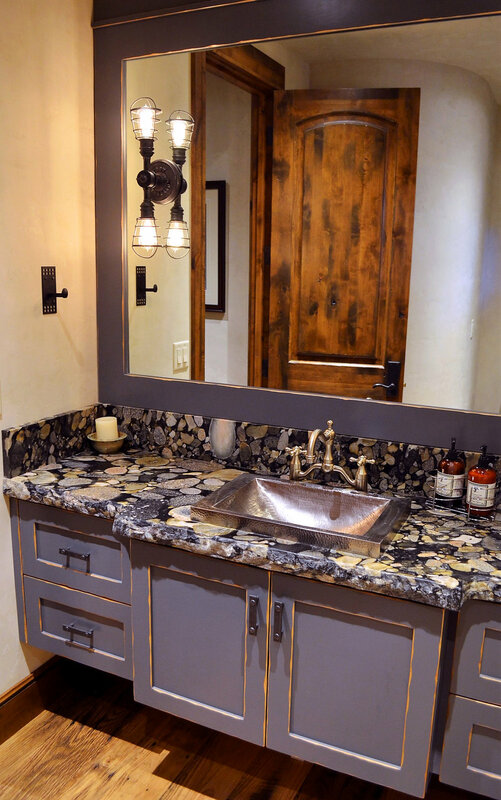 Unique touches include a custom pine cone sink with a bronze fishing back splash, bar stools made from collected saddles, niches to display famous movie star memorabilia, a home theater for watching the classics, and plenty of bedrooms and family gathering spaces. 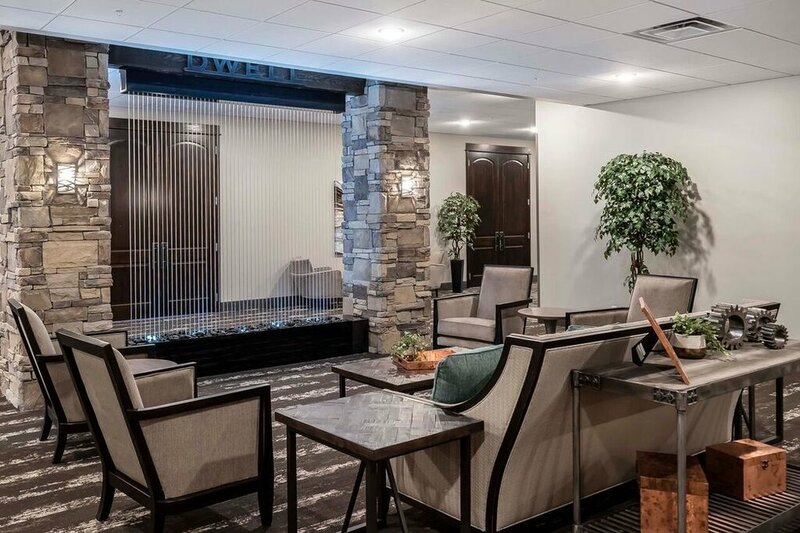 The remodel of Butte’s historic landmark, the Copper King Hotel and Convention Center, is a complete showcase of our hospitality design talents. 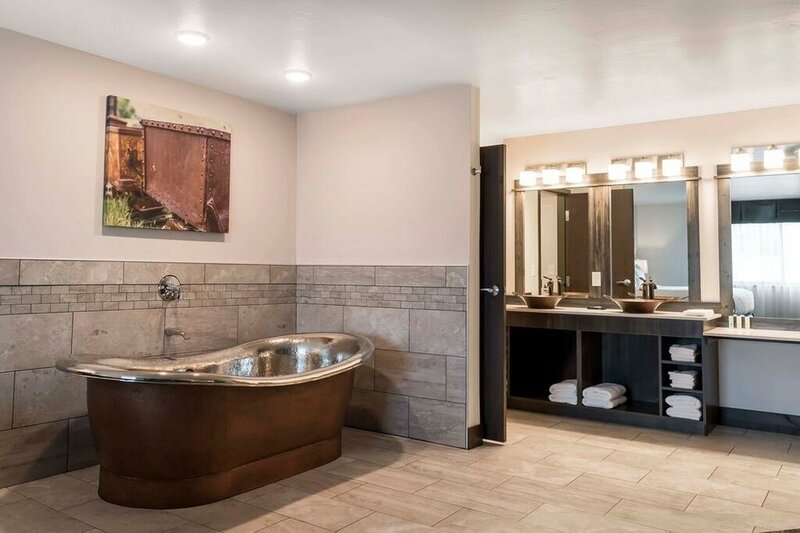 Industrial modern style, embracing the deep history of the copper mining industry, this property features a restaurant, spa, multiple event center spaces, a fitness center, pool, and unique guest accommodations including bridal and executive suite options. The Cedar Creek Lodge and Conference Center, at the gateway to Glacier National Park, blends all the rustic comfort you would expect in a mountain lodge with modern sophisticated amenities.